​The Truth and Reconciliation Commission will make public on Tuesday its final report documenting the history and legacy of Canada's residential school system, raising serious concerns for current and future generations of First Nations, Inuit and Métis children. The final report, titled Honouring the Truth, Reconciling for the Future, is the culmination of thousands of hours of heart-wrenching testimony heard in more than 300 communities over a span of six years, from more than 6,000 indigenous women and men who were abused and lived to tell their stories. "The survivors showed great courage, conviction, and trust in sharing their stories, which, collected here, are now a part of a permanent historical record, never to be forgotten or ignored," writes Justice Murray Sinclair, the chair of the Truth and Reconciliation Commission, in the final report obtained by CBC News. A summary report released by the commission in June made 94 recommendations, including changes to policies and programs. Prime Minister Justin Trudeau, who will be present when Sinclair unveils the final report in Ottawa on Tuesday, has committed to implementing all the recommendations, including the adoption of the UN Declaration on the Rights of Indigenous Peoples and a national inquiry into missing and murdered indigenous women and girls. The government announced last week the first phase in a process that would lead to a much-awaited inquiry. The commission heard testimony of the effects that over 100 years of mistreatment had on 150,000 First Nations, Inuit and Métis children. It is a moving and tragic historical account of what happened to indigenous children, many of whom were physically and sexually abused in residential schools. What's more, the commission found records showing that 3,200 indigenous children died from tuberculosis, malnutrition and other diseases resulting from poor living conditions. In an exclusive interview with CBC News Network's Power & Politics, Sinclair said he estimates the number of children who died to be much higher because burial records are "so poor." "I'm absolutely convinced the number is much higher, perhaps as much as five to 10 times as high as that," Sinclair told host Rosemary Barton. The final report also paints a grim picture of "the growing crisis" of indigenous youth over-represented in Canada's prisons and child welfare system. "The legacy of residential schools and government actions towards indigenous people over the years since Confederation is staggering. Every social condition measurable in Canadian society places aboriginal people at the most disadvantaged position of all people in the country," Sinclair told CBC News. "They have the highest unemployment rate, the biggest gap in income earnings, the number of aboriginal children in care, the number of aboriginal people who are incarcerated, the health problems and the health illnesses, the life expectancy rates are the lowest in the country, housing is poor, water supplies are poor — just the social living conditions that aboriginal people face are attributable to the way that they've been treated and mistreated by governments over the years and by society." Sinclair said much of it is directly traced back to the experience of indigenous children in residential schools. Fewer than 50 former residential school staff members were convicted for sexually or physically abusing indigenous students — an "insignificant" number, according to the report, given the 37,951 claims filed for compensation from survivors as of Jan. 31, 2015. 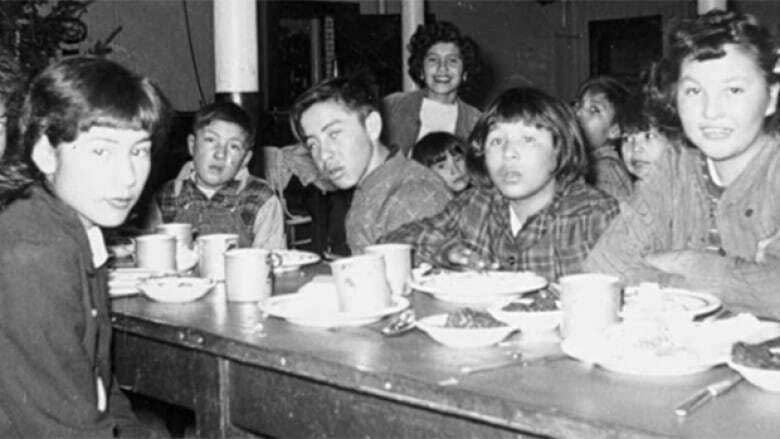 The harm done to Métis children who attended residential schools "was substantial," but Métis as a people were excluded from the Indian Residential Schools Settlement Agreement. Part of the reconciliation process will have to address and rectify "this damage." "Removed from their families and home communities," Sinclair said in the final report, "seven generations of aboriginal children were denied their identity through a systematic and concerted effort to extinguish their culture, language and spirit." "It is clear that residential schools were a key component of a Canadian government policy of cultural genocide." "The legacy can be seen in the myths, misunderstandings, and lack of empathy many Canadians openly display about indigenous people, their history, and their place in society," said Sinclair. While the final report marks "one of the darkest, most troubling chapters in our nation's history," it also turns the page on a new chapter in the relationship between indigenous and non-indigenous Canadians. "Reconciliation will not be easy and it will take time, but to make it happen, we must believe it should happen," said Sinclair. The high number of incarcerated indigenous youth and "the even more dramatic overrepresentation" of indigenous children in the care of child-welfare agencies are connected, the report found, and are in part explained by the way indigenous people were treated in residential schools. There are more than 300 child-welfare agencies in Canada operating under provincial and territorial jurisdiction. "Proof of the effectiveness of First Nations child and family service agencies is still preliminary," said the commission, "but anecdotal evidence and case studies suggest that First Nation agencies are more effective than non-aboriginal agencies in providing service to First Nation clients." While indigenous people now have "considerable" control of child-welfare services, according to the commission, funding is still lacking for many aboriginal agencies. The final report notes that Canada's "child-welfare crisis" has not gone unnoticed by the international community. In 2012, the United Nations Committee on the Rights of the Child expressed to Canada its concern about the frequent removal of children in Canada from families as a "first resort" in cases of neglect, financial hardship, or disability, the report said. The commission urged on all levels of government — federal, provincial, territorial, and aboriginal — to work together to reform Canada's justice and child welfare systems. Indigenous and Northern Affairs Minister Carolyn Bennett said in a speech to First Nations gathered in Gatineau., Que., last week that the government has begun working on and seeking support for an "overhaul" of the country's child welfare system. Bennett reiterated her government's commitment after her first formal meeting with the families of missing and murdered indigenous women in Ottawa on Friday. "There is a real problem of ripping children from their families, from their communities, and that we need to look at this system very seriously," she said. "We have to start with the children — protect the children — that's what child welfare is supposed to be." "These children need protection ... and we will try to get this system fixed." "We hope to get to work on that early in the new year," Bennett said.